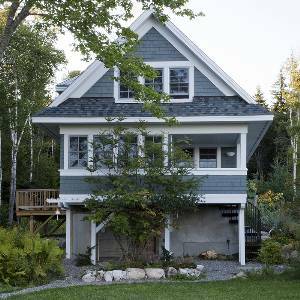 the natural beauty surrounding this waterfront cottage. matter where you are in the spacious and cozy cottage. fisherman as they set out to sea for the day’s fresh catch. coastline along the Petit Manan National Wildlife Refuge. several shore hikes with intimate, incredible views. islands, mountains, bays and Petit Manan Penisular itself. A must do for the whole family. photographers and professionals, and you. Local Boat Tours of Petit Manan Island (including lighthouse) and surrounding islands including viewing puffins,terns, guillemots and other migratory sea birds. Whale watching cruises available/Bar Harbor. + Scenic walks and hikes right outside your door. + Kayaking from our ocean beach in front of cottage. 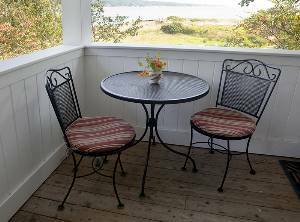 The cottage with scenic front view and open porch faces Southeast toward the Atlantic Ocean. The cobblestone beach is approximately 100 plus feet away to the waters edge at high tide. 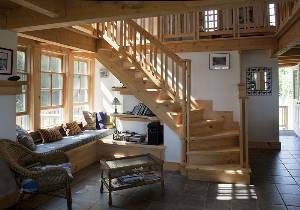 View shows a cozy window seat nook brook side, staircase leading to loft area,cobalt blue floor tile and exit to back of cottage. 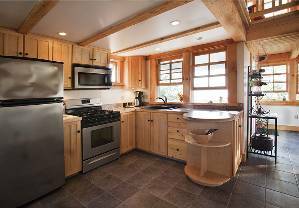 The kitchen featuring custom designed spruce and birch cabinets and roll out pantry face Southeast giving the cook a magnificent ocean bay view helping to inspire a traditional downeast feast. Enjoy coffee,cocktails, or outside dining.Ideal for reading or bay watching from the comfort of our cafe style porch.From your perch you will be able to enjoy the beauty of beach and bay. A private ocean side loft area for relaxing or sleeping offers spectacular views up and down the bay. The knotty pine closets have lots of room for storage of clothing and personal items. View of Petitmanan Lighthouse from shore. Nesting grounds for Puffins. Local boat tours available. View of Bois Bupert Island across from cottage through the lupines. Resting eagle on her perch, 2 cottages away. Fabulous place, lovely scenery, peaceful location! The property is spacious and beautiful. The owners are available and welcoming. 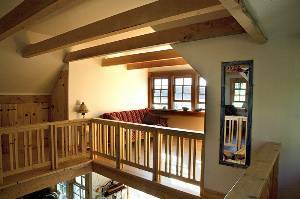 I would love to be able to return to the Downeast Retreat each and every year. I had the great opportunity to stay at this cottage in November 2008 and feel like I've had the most authentic Maine experience! The location couldn't be better, the cottage any nicer and the views are breathtaking. I can't wait to come back again with my entire family. Cancellations and Refunds: No refund on deposit.